Our hair isn't as strong as we may think or may have even been led to believe. And if not cared for properly our hair can get weaker. Especially for those of us who use chemicals on our hair. Our hair strands are made up of about 70% keratin protein and that keratin protein can break down leaving our weak and prone to breakage. But there is something we can do about it. And that something is protein treatments. 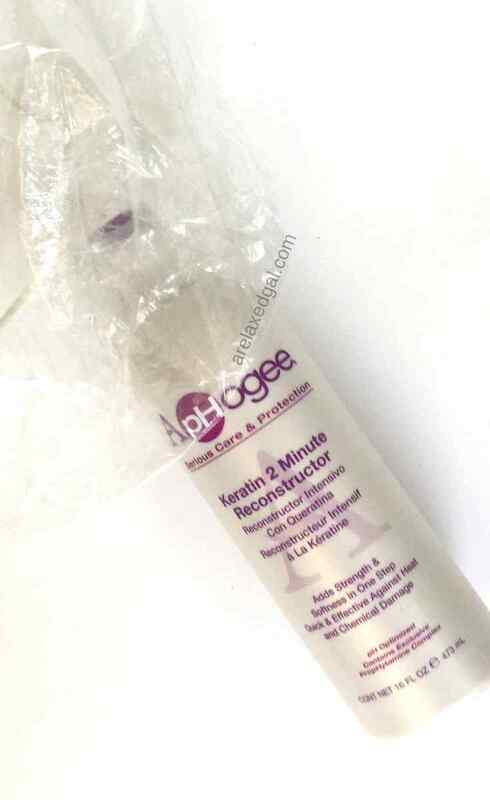 They help strengthen areas of the hair, smooth the hair cuticle, and build the hair shaft back up. This basically means your hair has no bounce. Your hair has lost elasticity If you take a wet strand of hair and stretch it and it just keeps stretching so it's all stretched out, limp and perhaps breaks. Due to damage to your hair cuticles, high porosity hair may have some holes or gaps. This can lead to constant frizzy hair and tangles. Even though I have relaxed hair, I can't avoid this one. If you use chemicals on your hair like relaxers and hair color they break down your hair proteins making your hair strands weaker. Seeing lots of hair breakage and even excessive shedding can be signs that your hair is lacking protein. They are good for routine maintenance to restore and balance. It's recommended they are used every 4-6 weeks. These are also known as hard protein treatments. These are often used to repair severe damage from heat styling or drying effects of color processing. If they are being used to help repair extensive damage they can be used every week or wash. They are intense treatments that work well on moderately damaged hair. Their recommended use is every other week or every other wash day and definitely followed up with good deep conditioning. These are ideal for slightly damaged hair and regular maintenance. They are sometimes packaged as leave-ins or labeled with phrases like “conditioning mask” or “recovery and repair." It's recommended they are used every wash but should be eased off of after a while or when the hair starts feeling stiff. If you're looking to save a little money or want to go a more natural route you can create your own protein treatments using ingredients such as avocado, mayo, yogurt, and coconut oil. 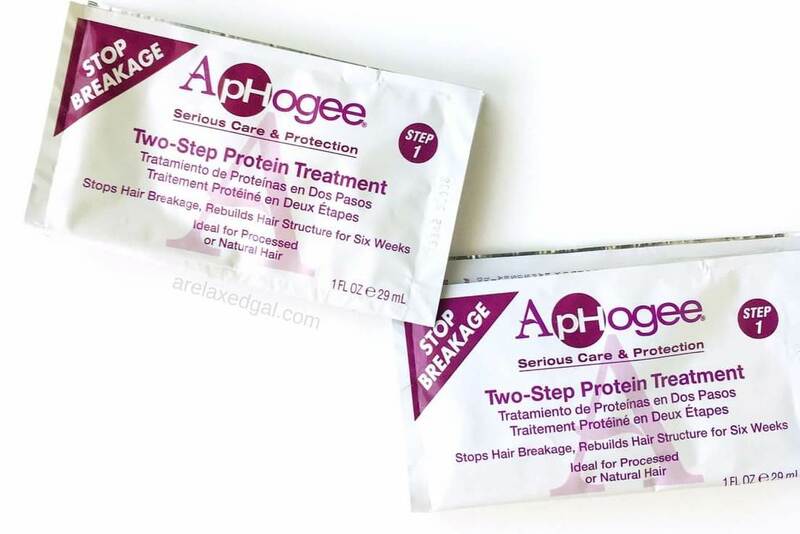 Below is a list of some medium to hard protein treatments that I have either tried or seen several other bloggers rave about and use as part of their relaxed hair regimen. Aphogee Two-step Treatment Protein for Damaged Hair. To know if you are currently using any products with protein look for these types of ingredients: Hydrolyzed Keratin, Hydrolyzed silk protein, or Hydrolyzed wheat protein. My favorite hair product that gives my hair a light amount of protein is the SheaMoisture High Porosity Moisture Correct Masque. A key thing to remember when using hard protein treatments is to always do a moisturizing deep condition afterward. This helps maintain the protein-moisture balance your hair needs. If you have hair that is low porosity and/or is protein sensitive, doing protein treatments or using hair products with protein ingredients can do more harm than good. Also, do protein treatments in moderation. Even if you have hair that likes protein, overdoing it and having too much protein isn't good for your hair. It can make your hair feel hard, stiff, and fragile so it breaks. When all else fails ask your hair stylist if they think you need to use protein on your hair and what they recommend. Do you use protein on your hair? What protein-based products do you use?